Forcible entry on the modern fire-ground presents firefighters with many challenges. This class will aim to give you the mental and physical tools to overcome these challenges. Building on the basics of “gap, set force,” this class will focus on hands-on instruction and interaction between the students and instructors. We will cover size-up of real world obstacles and focus on extending our “conventional” forcible entry to help you perform your best when the pressure is on. Realistic props will teach students to work on their own, in tight or compromised spaces and how to overcome some of the most challenging lock and door combinations we can face. John was appointed to the FDNY in 2006. As a firefighter he was assigned to Ladder 111 in Bedford-Stuyvesant, Brooklyn and Rescue 1 in Manhattan. He is currently a lieutenant working at the Technical Rescue School and was previously assigned to the 7th Division. He is a New York State Fire Instructor. Michael is a 40 year member of the FDNY. A Lieutenant since 1997, assigned to Tower Ladder 58 the Bronx. Previously assigned to Engine 18, Manhattan and Ladder 157,Brooklyn. NYS Fire Instructor and a Master Exercise Practitioner (MEP) certified thru Homeland Security. Duty is to develop, evaluate and update Incident Action Plans. He is also an instructor at the NYC Fire Academy. Jim is a 27 year member of the fire service and presently a firefighter with the FDNY, assigned to Squad Co. 41 in the Bronx. 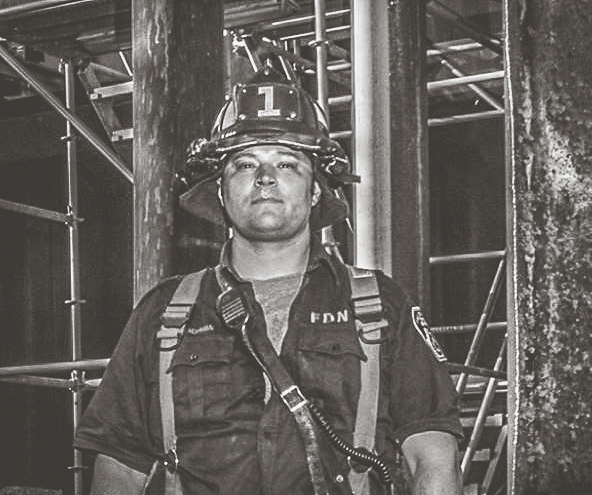 Michael has been a member of the FDNY for 17 years and is currently assigned to Squad Co. 41 in the South Bronx. He was previously assigned to Ladder 107 in East New York, Brooklyn.